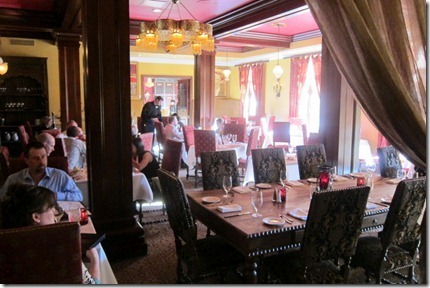 Our day in St. Augustine concluded with a fabulous dinner! We made sure to give ourselves an hour to meander around St. Augustine and spend some time in the cute shops in between our mini golf/ IMAX adventure and our dinner reservation. For some reason St. Augustine reminds me of a smaller version of Savannah, Georgia. 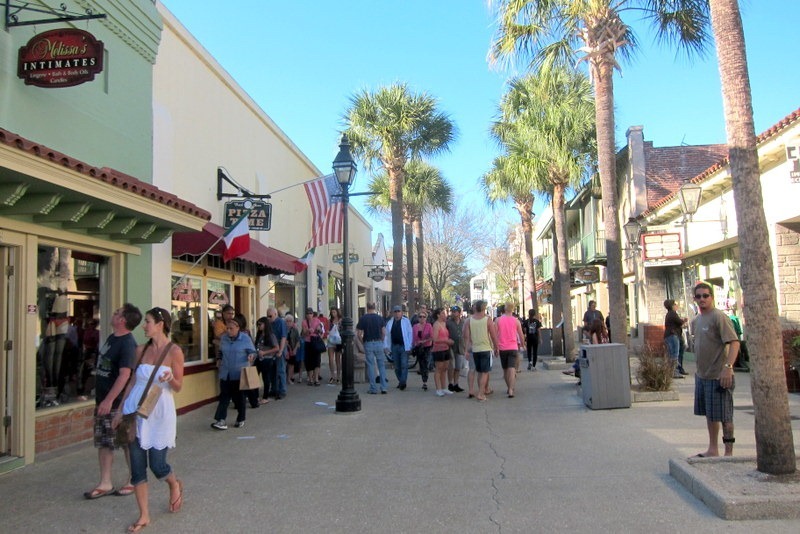 I love the quaint shops and casual, relaxed atmosphere. There are plenty of places to go to buy souvenirs, but my favorite shops to check out are the less-touristy places, like The Ancient Olive. We popped into this place on a whim and it ended up being a fantastic find! 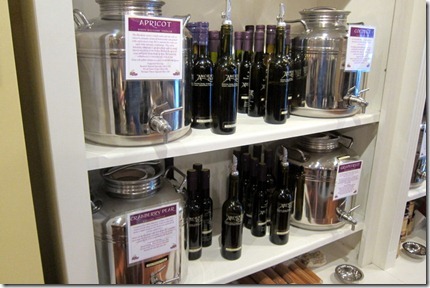 The Ancient Olive is an olive oil and balsamic vinegar tasting room. At first I thought it might be kind of weird to sample little sips of different kinds of olive oil and balsamic vinegar, but after one taste, I was hooked. The flavors that were infused into the oil and vinegar totally changed the taste, so it was fun to sample the different varieties. 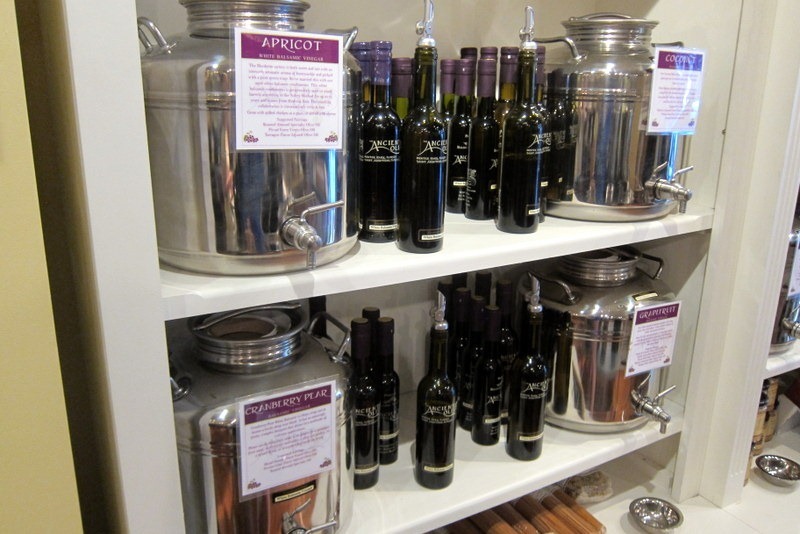 We loved talking with the two men working at the shop because they gave us a bunch of different ideas for creative ways you can use the vinegar and olive oil. For example, they said that the basil olive oil is fantastic drizzled over creamy vanilla ice cream and suggested adding a few drops of the cranberry pear balsamic vinegar to a martini. 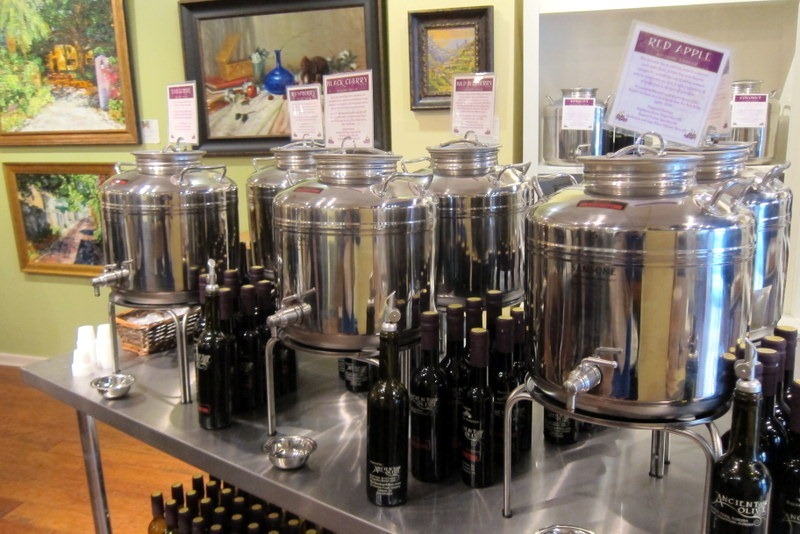 Florida friends, The Ancient Olive can also be found in Winter Park and Delray Beach. It’s definitely worth a visit! Eventually it was time for us to make our way over to the Casa Monica Hotel for dinner. 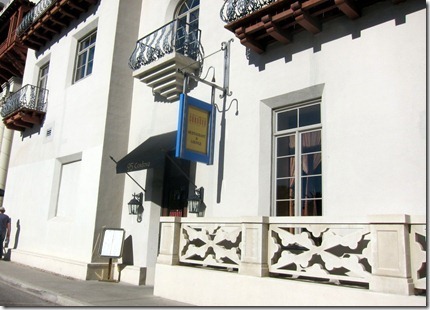 Though I’ve never stayed at the Casa Monica Hotel before, I’ve heard the most wonderful things about it. A former coworker of mine held her wedding reception at the hotel and her pictures were absolutely stunning. The hotel was built in 1888 and restored in 1999 and you can feel the history from the moment you walk into the lobby. 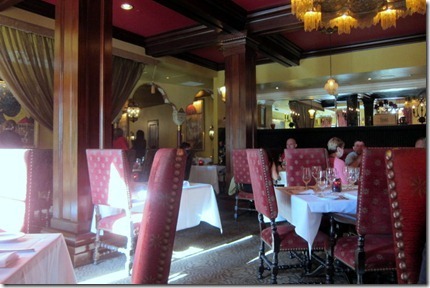 We had plans to dine at 95 Cordova, a romantic restaurant located behind the Cobalt Lounge inside the hotel. The restaurant was decorated with beautiful, rich silk curtains and antique furniture and we knew right away we were in for a special night! Late last week, we were actually invited to enjoy a complimentary dinner at the restaurant and felt very grateful for the opportunity. What a treat! Once we were greeted by our friendly waiter, we ordered drinks. 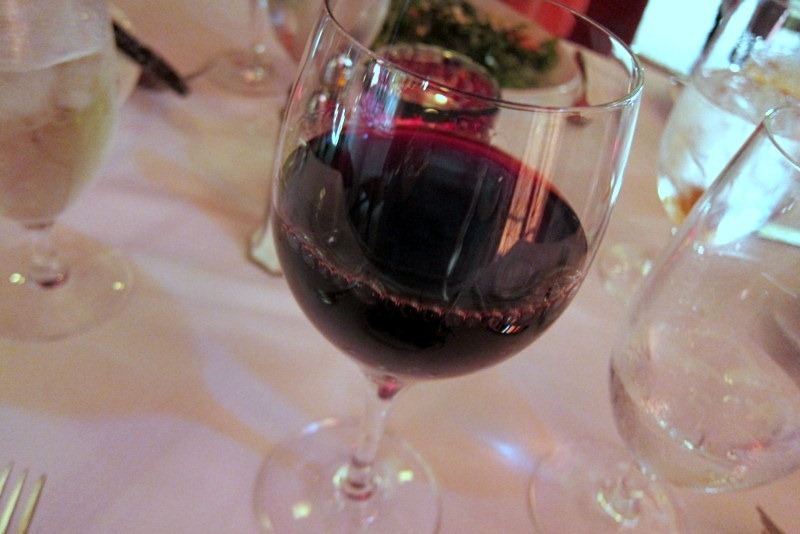 I was in a wine kind of mood and ordered a glass of Gundlach Bundschu Mountain Cuvee, a smooth red wine blend that I absolutely adored. 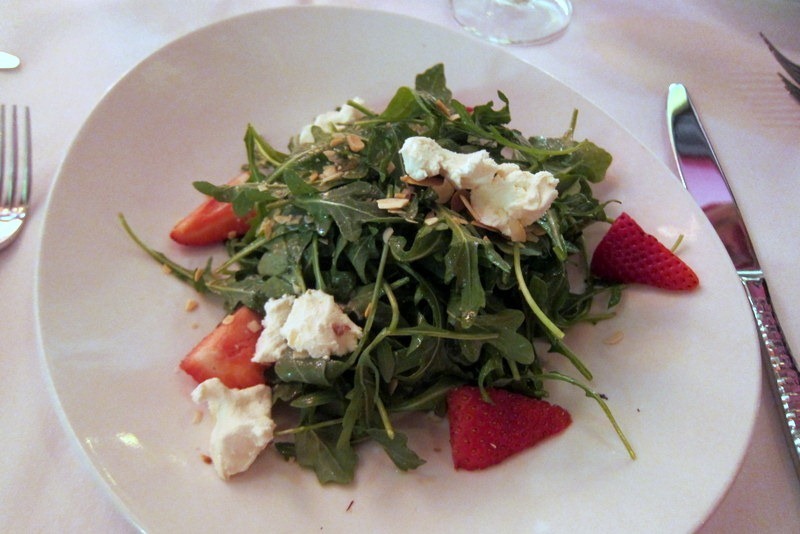 When it came time to order, I selected the strawberry arugula salad to start and it was a great choice. The vinaigrette dressing was nice and light and the goat cheese stole the show! It was a perfect appetizer salad because it didn’t sit heavy in my stomach, but managed to take the edge off my hunger. 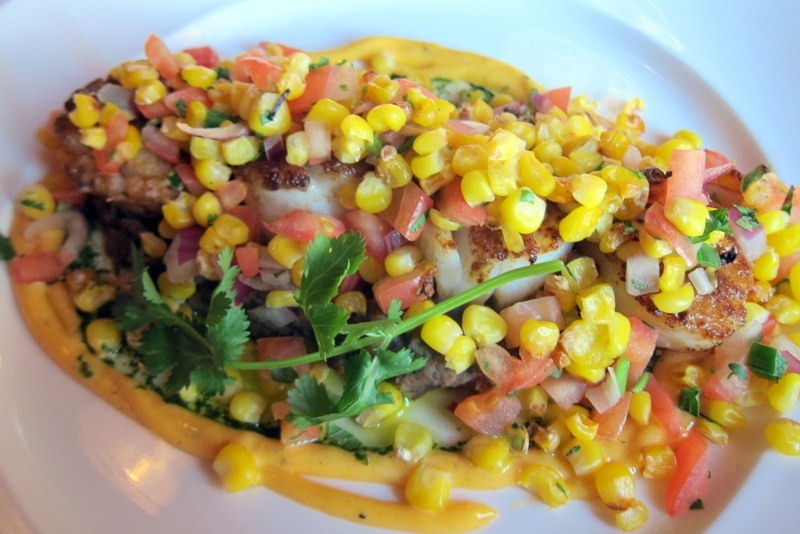 For my entrée, I opted for the coriander crusted sea scallops and was absolutely thrilled with my meal. My scallops were served atop whipped black beans and topped with roasted corn salsa, citrus chili aioli and cilantro oil. The corn salsa was incredibly fresh and the texture of the corn paired perfectly with the smooth black beans and succulent scallops. I ate every last bite. Not one little kernel of corn remained on my plate! Everyone else raved about their meals as well! 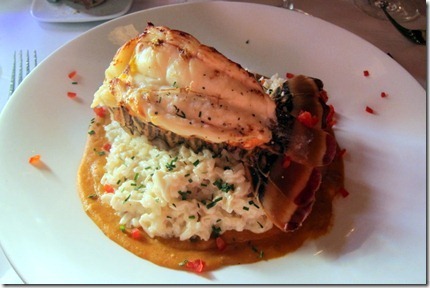 At the urging of our waiter, Ryan ordered the filet with crab and shrimp ragout and couldn’t stop talking about it! I ended up helping Ryan finish his meal and loved stirring the ragout into the mashed potatoes (served underneath the green beans). Talk about indulgent and delicious! My sister’s selection was also a winner. When we were chatting with the folks at The Ancient Olive and told them where we were headed for dinner, they highly recommended the lobster and crab risotto and it’s easy to see why! It was fabulous and we all were happy my sister shared a few bites with us. Though we were all pretty darn full by this point, our waiter didn’t have to do too much to convince us to order dessert. The four of us shared the warm apple blossom and agreed that it was the best apple-based dessert we’ve ever had at a restaurant. 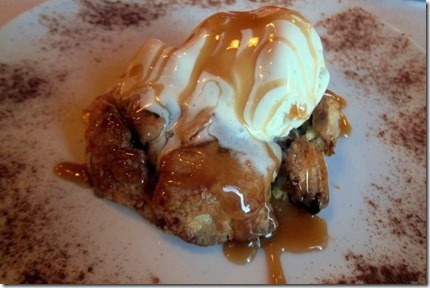 I almost always gravitate toward chocolate desserts, but when I read the description of the apple blossom, it called to me! 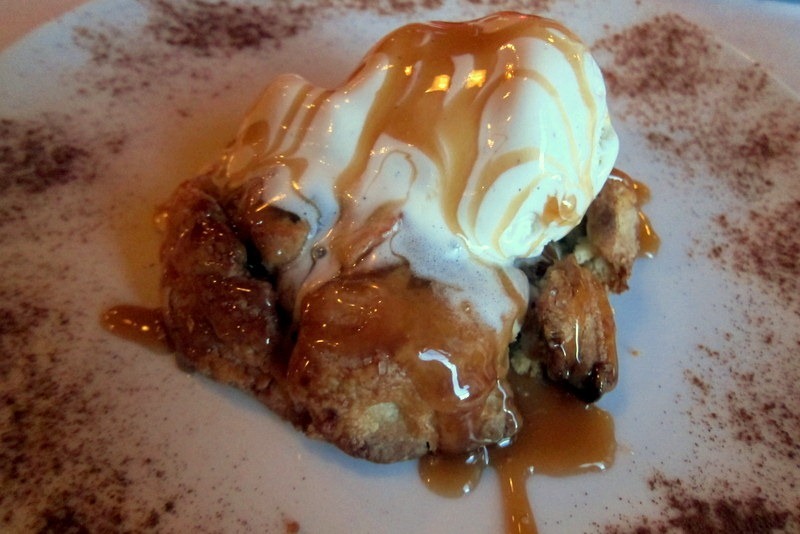 The pastry tasted like a doughnut with a crispy exterior and the buttery caramel sauce made the ice cream melt a bit over the warm apple-filled pastry. It was incredible! 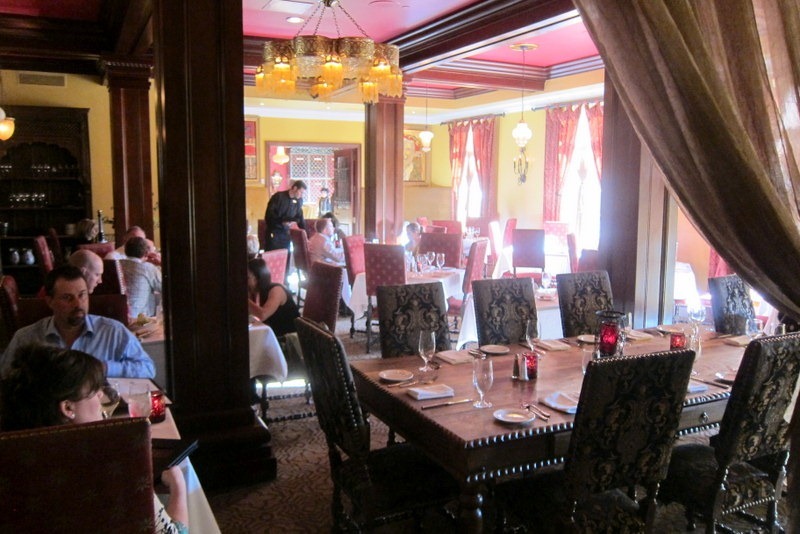 We raved to our waiter about our meal and said it was the perfect conclusion to such a fun day in St. Augustine. 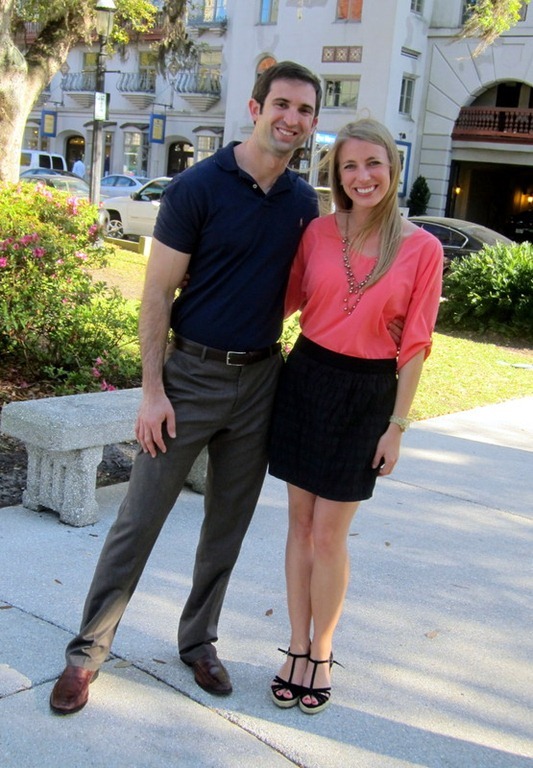 St. Augustine always brings back such wonderful memories of when Ryan and I first started dating and visited the fun city together. Whenever we come back, I cannot help but smile. There’s so much to see and do and it’s the perfect place for a weekend away. I’ll be back in a bit with a recap of yesterday’s St. Patrick’s Day 10K! If you were going to recommend a city or a town for someone to visit for a fun weekend away, where would you tell them to go? Weekend trips are the best! It’s so fun to get a short break from the every day life and visit somewhere close. I’m in the midwest and, believe it or not, Omaha, NE was my favorite weekend getaway we recently visited. They have the best zoo there – so much fun stuff to see. We spent the whole day there and really enjoyed it. Looks like you guys had a lot of fun last weekend! 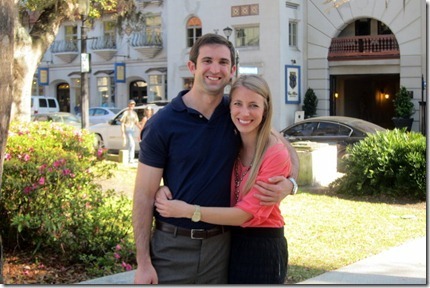 I would’ve recommended St. Augustine! 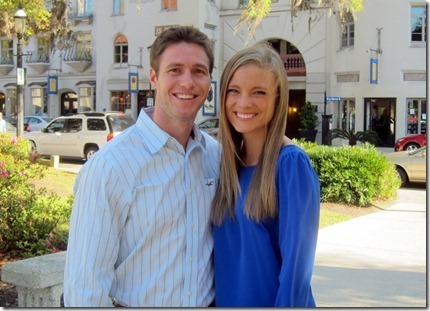 I grew up just north of there in Neptune Beach and it’s such a fun city. I never get tired of it. 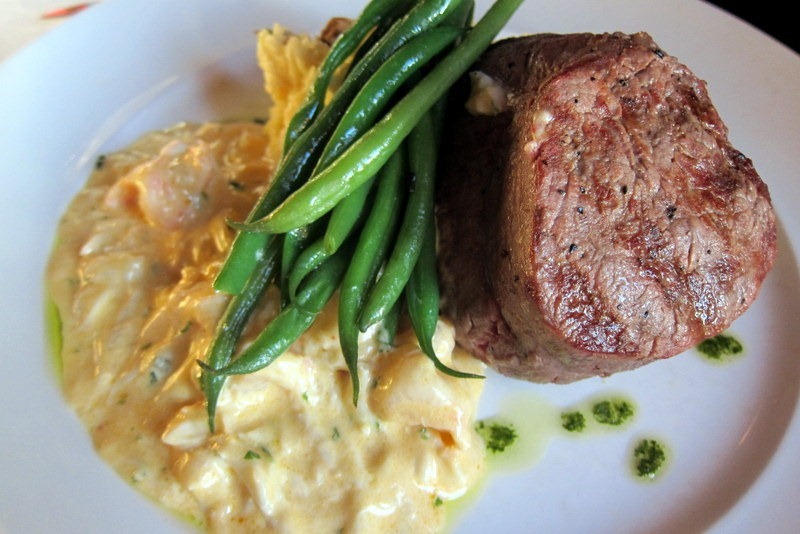 We’ve stayed at quite a few of the bed and breakfasts and even eaten at 95 Cordova (YUM). Glad you guys got to see it and the weather looked awesome. 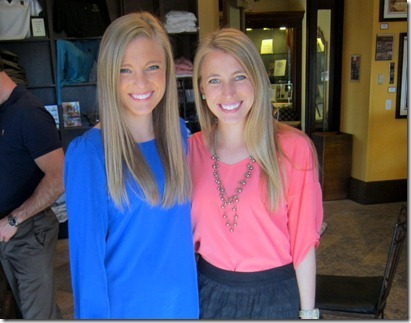 you and your sis are so beautiful! 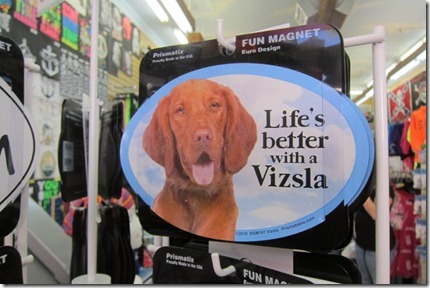 LOVE the Life’s Better With A Vizsla magnet.. too true!! Dublin or Galway 🙂 But of course! I did the Life’s a Beach Triathlon in Lido Beach last September and it was the perfect weekend! We got up early Saturday for the Tri and by 10:30 we were lounging waist-deep in the clear water of the beach with margaritas in hand. 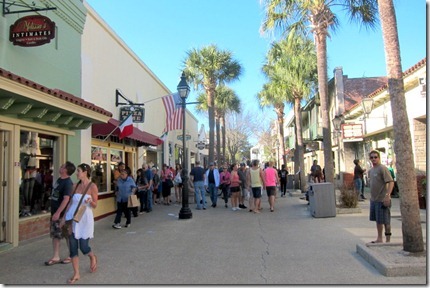 It’s just a 5 minute drive from a great little downtown Sarasota area with tons of cute shops and restaurants so we spent Saturday night and Sunday walking around there and doing some shopping. I’ve gotta throw out the hometown, Annapolis, MD! ditto, i vouch for this! what a fun date. you and your sister are so pretty:) i haven’t been to too many places in my adult life. but my recommendation would always be hawaii. if you’re going to throw down on a plane ticked it might as well be somewhere awesome! 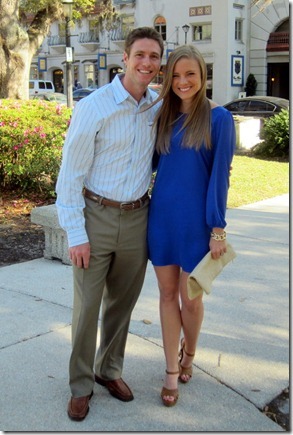 Love your blue dress! Where did you get it? Mmmmmm all the food looks so delicious and rich, but not overly heavy! I think it’s amazing when a restaurant can serve a balance of both characteristics within one dish. I visited Winter Park and Del Ray beach last year and loved both! I’d recommend Bath in England for a weekend break. I have to recommend Saratoga Springs, NY which is in my backyard, and I’d also recommend Waitsfield, VT. There’s so much to do in both locations if you’re an active person. Saratoga offers lots of shopping, history, and the race track, concerts and ballet (in the summer). Yum that apple dessert looked great! 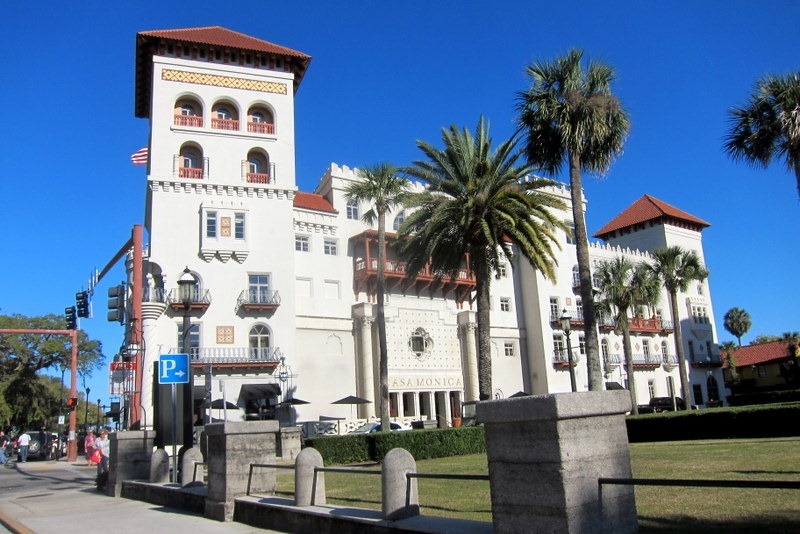 St. Augustine sounds great! I have friends there who I’ve been meaning to visit and your post just bumped that trip up the priority list. I live in Colorado and love visiting Steamboat Springs for a weekend getaway – that’s the first place my boyfriend and I traveled together as well and it always brings back great memories. 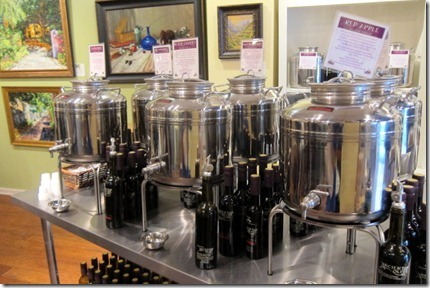 So Jealous of that weather…… I got a bunch of flavored olive oils from a friend who works at a similar store. They are amazing and have really contributed to my cooking! Ohh my gosh that seafood looks delicious! And I’m a sucker for any kind of apple dessert! I’m from Wisconsin, and anytime someone is looking for a weekend getaway, I recommend Lake Geneva. It’s an adorable town with an old fashioned-ish downtown– tons of adorable restaurants, shops, and candy stores! It’s right on the lake so there’s plenty to do in the summer, but it’s just as pretty in winter when there is snow everywhere! They always decorate the downtown area with millions of Christmas lights, and it’s just so festive! Y’all look adorable in your date worthy attire! 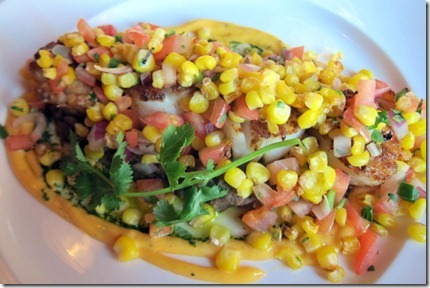 Your sea scallop entree…. OH. MY. WORDNESS. My mouth is watering. Looks absolutely delicious! I don’t blame you for eating the entire thing! I think that roasted corn or grilled corn is one of the best additions to salad or anything that you want to add a sweet crunch too. 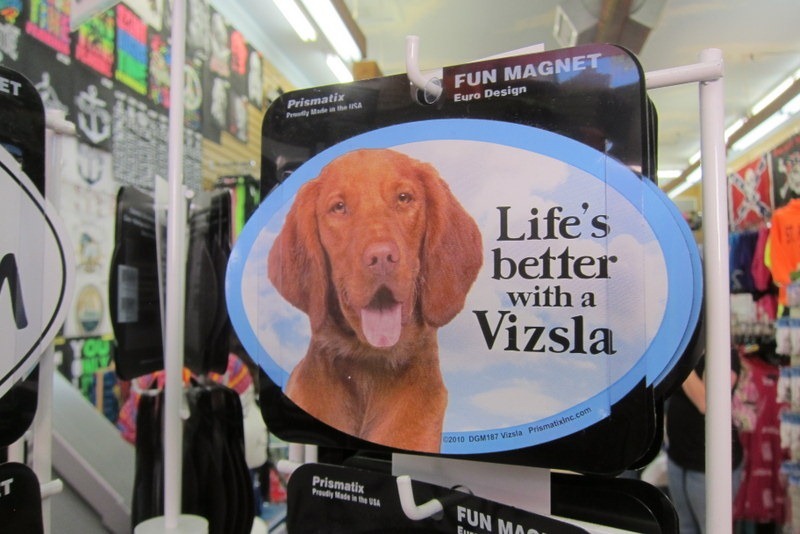 Sadie is definitely cuter than the dog on the Visla magnet! She’s just made to be on camera… 😉 You look so pretty in that dress! 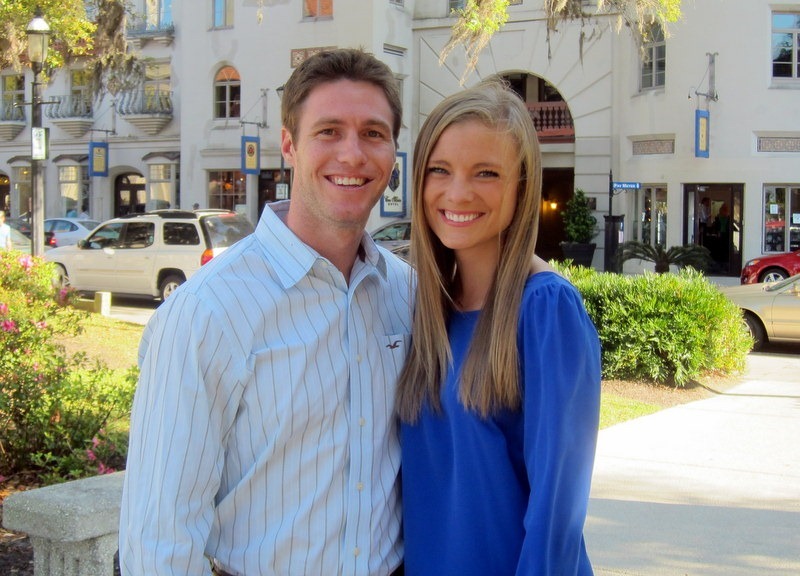 My favorite weekend vacation spot ever was Charleston. We loved it so much that we’re seriously thinking about moving there. Beautiful, romantic, historic, and current at the same time! Love the blue dress! Where is it from? I’m from Wisconsin. I would recommend Lake Geneva, WI. 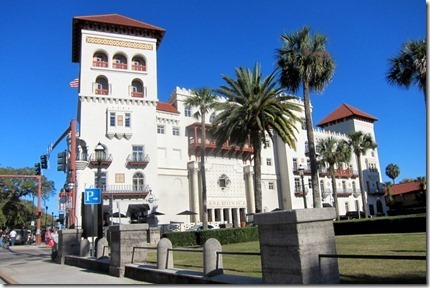 My husband and I were married there at the historic Riviera ballroom on the lake (http://www.lakegenevariviera.com/). I love the quaint atmosphere of all the cute little shops! It’s a hot spot for people from Chicago to come visit. They have boat rides you can take that allow you to view historic mansions and learn the history of wealthy folks that live along its shores. There’s a mailboat tour as well, where you can watch someone deliver the mail to people’s docks and jump back on while the boat is in motion. (http://www.cruiselakegeneva.com/). I also love to walk along the shoreline path to see the beautiful homes and manicured lawns with my family. (http://www.makeitbetter.net/entertainment/outings-a-travel/1506-hiking-through-historythe-geneva-lake-walking-path). Healdsburg, CA!! great wine town -amazing restaurants, fun shops, cute hotels, GREAT wine in Sonoma County.